Anderson, Marion, Phil Anderson, et. al., Fearful Passages, 1992. Aniolowski, Scott, Booke of Monstres, 1994. Aniolowski, Scott, Kevin A. Ross, et. al., Sacraments of Evil, 1993. Barton, William A., David A. Hargrave, Keith Herber, et. al., Cthulhu Casebook, 1990. Behrendt, Fred, Michael DeWolfe, Keith Herber, Wesley Martin and Mark Morrison, Mansions of Madness, 1990. Brooks, Les, Investigator Sheets, 1992. Brooks, Les, Keeper's Kit, 1992. Gillan, Geoff, John B. Monroe, Richard Watts, et. al., Blood Brothers II, 1992. Gillan, Geoff, Mark Morrison, Penelope Love, et. al., Horror on the Orient Express, 1991. Hallet, David, Kevin W. Jacklin and L.N. Isynwill, Dark Designs, 1991. Hassal, Kevin, Scott Aniolowski, Todd A. Woods, et. al., Adventures in Arkham Country, 1993. Herber, Keith, Curse of Cthulhu, 1990. Herber, Keith, Investigator Companion I, 1993. Herber, Keith, Investigator Companion II, 1994. Herber, Keith, et. al., Return to Dunwich, 1991. McConnell, Paul and Neal Sutton, Thing at the Threshold, 1992. Monroe, John B., et. al., Blood Brothers, 1990. Morrison, Mark, Barbara Manui, Chris Adams, et. al., At Your Door, 1990. Petersen, Sandy, Creatures of the Dreamlands, 1989. Petersen, Sandy and Lynn Willis, Call of Cthulhu, 1989. Ross, Kevin A., Scott Aniolowski, Geoff Gillan, Richard Watts, et. al., Tales of the Miskatonic Valley, 1991. Rowland, Marcus, Kevin A. Ross, Harry Cleaver, Doug Lyons and L.N. Isynwill, Great Old Ones, 1989. Sumpter, Gary and Ugo Bardi, King of Chicago, 1994. Watts, Richard, Andre Bishop, John Tynes, et. al., The Stars Are Right, 1992. Watts, Richard, Penny Love, et. al., Fatal Experiments, 1990. Conyers, David, David Godley and David Witteveen, Devil's Children, 1993. Crowe III, John H., Walker in the Wastes, 1994. Tynes, John, ed., The Unspeakable Oath, published quarterly. Harms, Daniel, ed., Encyclopedia Cthulhiana, 1994. Price, Robert M., ed., The Hastur Cycle, 1993. Price, Robert M., ed., Mysteries of the Worm, 1993. Price, Robert M., ed., The Shub-Niggurath Cycle, 1994. Stratman, Thomas M.K., ed., Cthulhu's Heirs, 1994. 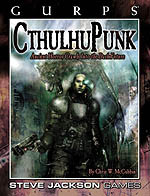 In 1994 Chaosium began an ongoing project to publish new and classic Mythos tales in an affordable trade paperback format. Of the five volumes that have appeared so far, Cthulhu's Heirs is a collection of new Mythos fiction, and Mysteries of the Worm is a collection of the Mythos fiction of Robert Bloch. 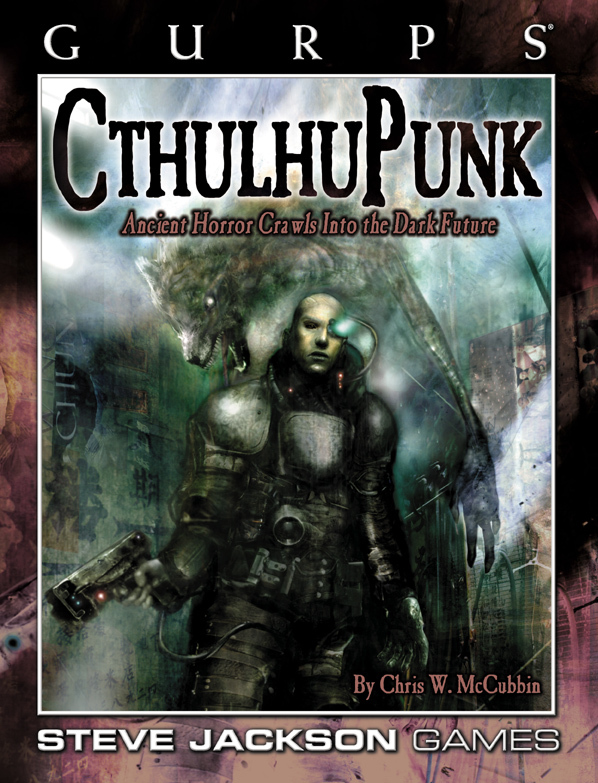 The Hastur and Shub-Niggurath Cycles are comprehensive, topical compilations of all the major Mythos stories featuring the title entity, incorporating not only stories by Lovecraft and his followers, but also the most important stories by writers who influenced Lovecraft, like Robert W. Chambers, Ambrose Bierce, and Arthur Machen. Of all the editions of Lovecraft's fiction currently available, these mass-market paperbacks are, by far, the most inexpensive and easiest to find, and should be available at most large bookstores. Arkham House was formed after Lovecraft's death with the express intention of keeping his work in print and his influence alive. In addition to providing definitive hardcover editions of all of Lovecraft's works (including the multi-volume Selected Letters of H.P. Lovecraft), Arkham House is also the best single source for Mythos fiction by other authors. For more information on Arkham House publications, write Arkham House, PO Box 546, Sauk City, WI, 53583. Note that some of the books below may no longer be in print. Also, the Mythos-content in the books may vary; some may have only one or two short stories or poems from the Mythos, others may be all Mythos. Unless otherwise noted, all the books below may be assumed to be collections of short stories or short novels. Campbell, J. Ramsey, Demons by Daylight. Campbell, J. Ramsey, The Height of the Scream. Campbell, J. Ramsey, The Inhabitant of the Lake and Less Welcome Tenants. Campbell, Ramsey, ed., New Tales of the Cthulhu Mythos. Carter, Lin, Dreams From R'lyeh (poetry). Derleth, August, ed., Dark Mind, Dark Heart. Derleth, August, ed., Dark Things. Derleth, August, ed., Over the Edge. Derleth, August, ed., Tales of the Cthulhu Mythos. Derleth, August, ed., Travellers By Night. Leiber, Fritz, August Derleth, ed., The Dark Brotherhood and Others. Lovecraft, H.P., Dagon and Other Macabre Tales. Lovecraft, H.P. and August Derleth, The Lurker at the Threshold. Lovecraft, H.P. and August Derleth, The Shuttered Room and Other Pieces. Lovecraft, H.P. and August Derleth, The Survivor and Others. Lovecraft, H.P. and August Derleth, The Watchers Out of Time and Others. Lovecraft, H.P., S.T. Joshi, ed., At the Mountains of Madness, and Other Novels. Lovecraft, H.P., S.T. Joshi, ed., The Dunwich Horror and Others. Lovecraft, H.P., et al., S.T. Joshi, ed., The Horror in the Museum and Other Revisions. Lumley, Brian, Beneath the Moors (novel). Lumley, Brian, The Caller of the Black. Lumley, Brian, The Horror at Oakdeene. Myers, Gary, The House of the Worm. Page, Gerald W., ed., Nameless Places. Smith, Clark Ashton, The Dark Chateau and Other Poems. Smith, Clark Ashton, Selected Poems. Smith, Clark Ashton, Steve Behrends, ed., with Donald Sidney-Fryer and Rah Hoffman, Strange Shadows: The Uncollected Fiction and Essays of Clark Ashton Smith. Wandrei, Donald, The Web of Easter Island (novel). Wilson, Colin, The Mind Parasites (novel).